Diverticulitis | Dr Joe McSweyn L.Ac. O.M.D. Neither option was acceptable to me, so my wonderful daughter suggested I check with Joe. Joe treated me with his “magic” herbs and suggestions for dietary changes. 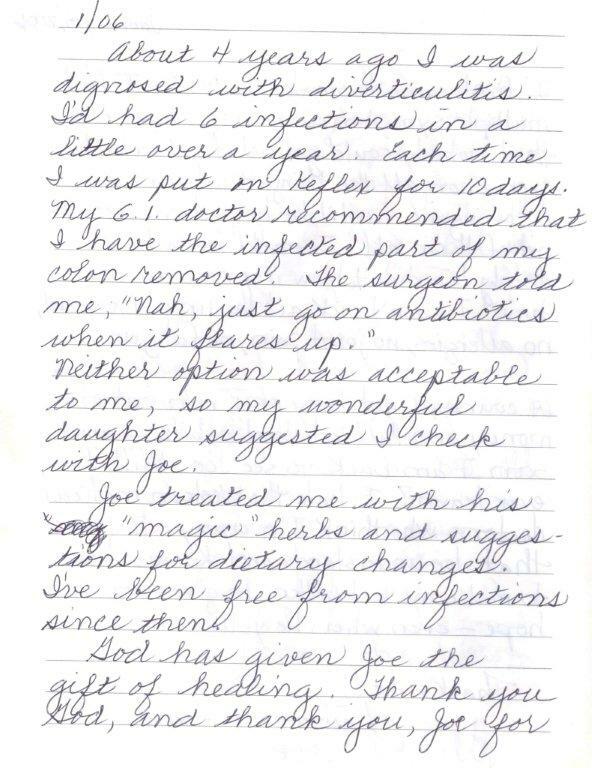 I’ve been free from infections since then. God is given Joe the gift of healing. Thank you god, and thank you, Joe for using that gift to help so many people!